A time tested BPI that reduces the ament of acid in stomach. Blocks the enzymes in the walls of stomach that produces acids. More selective and works primarily as dopamine D2 antagonist. Effective and safe drug in dyspepsia and non-erosive reflux diseases. Increases lower SP esophageal sphincter pressure more rapidly and effectively than other therapeutic agents. 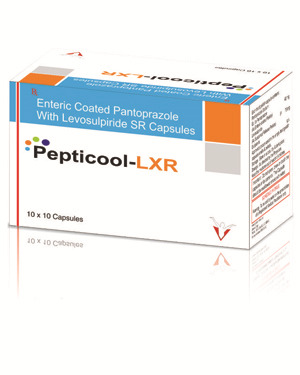 Levosulpride also acts as a moderate agonist of 5-47 receptor.